YUTONG XUE — SpeechUp | Hack Harvard. At Hack Harvard 2016, I worked in a team of 3 to design and develop a web platform, SpeechUp, which helps people improve their speech skills. I worked on the user experience and user interface designs. For people who want to practice before their presentations, it is difficult to find someone to practice with and can offer useful feedbacks. A web platforms for users to practice speeches, record and receive instant feedbacks. 3 strangers with a common goal to make useful products. Our team was made of 1 developer, 1 biotechnologist and 1 designer. None of us had much experience with Hackathon or was particularly good at coding. But we were all determined to make the most out of the 36 hours and make something not only cool but more importantly, useful. 5 hours of brainstorming lead to a product worth developing. We had ideas ranging from education to politics to e-commerce and to entertainment. We pursued this final idea about speech because it is a pain point that all of us and many others often experience. 30 hours of designing and developing turned the idea into reality. While my teammates worked on the technical side of the project, I flashed out the flow, the interaction and the interface of the platform. 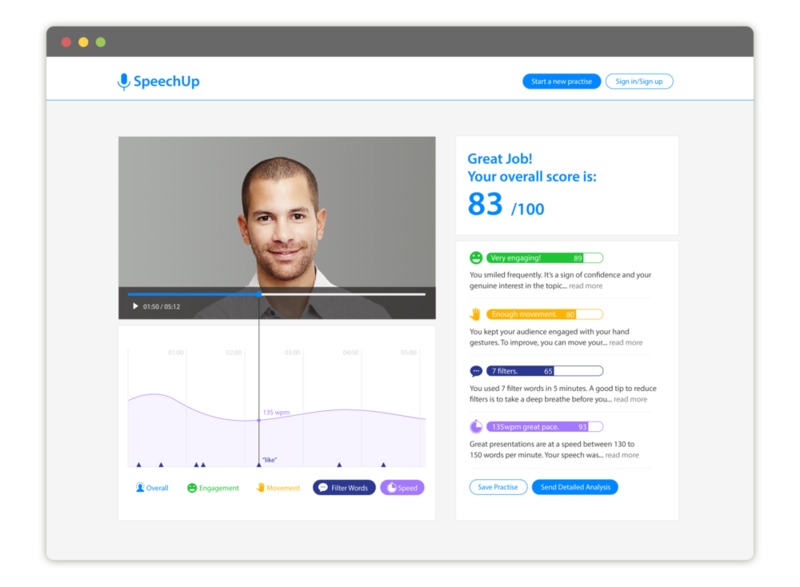 SpeechUp lets users practice their speeches in front of computers and receive helpful feedbacks in real-time. Using Microsoft's emotion and speech APIs, SpeechUp is able to collect data from speakers' facial expression, movement and speech. It then converts the data into useful feedbacks for the speakers. At 3 am, teammates are the most powerful Red Bull. Even though our team was formed on site and the 3 of us had very different backgrounds, with a common goal in mind, we pushed each other forward for the 36 hours. My teammate and I hacking at 3 am. 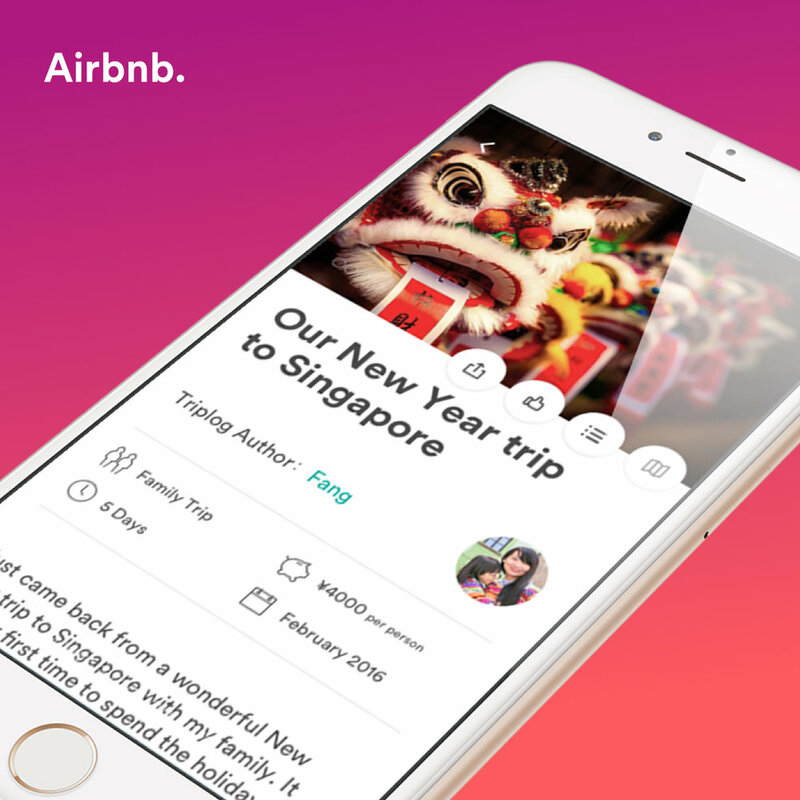 Continue the Hackathon spirit: to learn, build and share. Much like marathons, winning is not at all what hackathons are about. I enjoyed seeing cool projects, talking to dedicated people, making my own project, working with strangers and, sleeping on the table. Being able to finish one project was surely an accomplishment of its own, but the more important takeaway is to continue the Hackathon spirit afterwards.